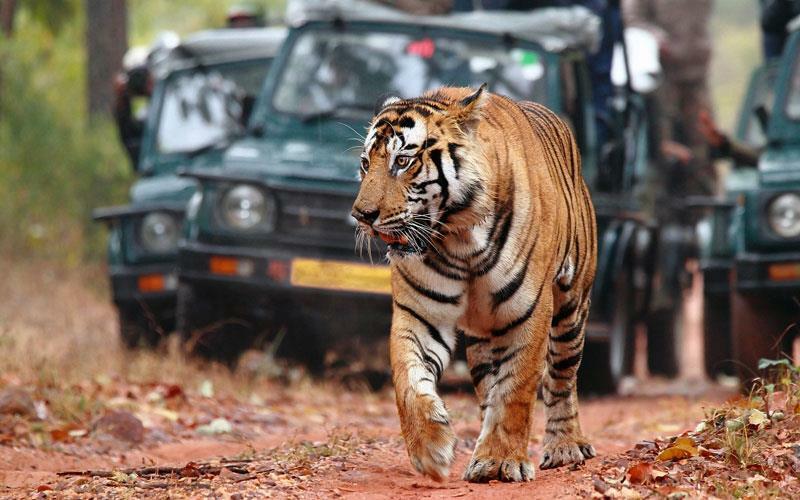 This article helps you to know more about the top 10 wildlife safari destinations in India and the major features associated with each of them. India is blessed with lush jungles thriving with wilderness which is the perfect spot for wildlife safari. Leave the city behind and taste the thrill of wildlife safaris. It's quite exhilarating to go amid wilderness and spot wildlife in their natural habitat. The lurking Tiger, the roar of Lion, the swift deer, a quite Nilgai or some colorful birds, get ready to be surprised! 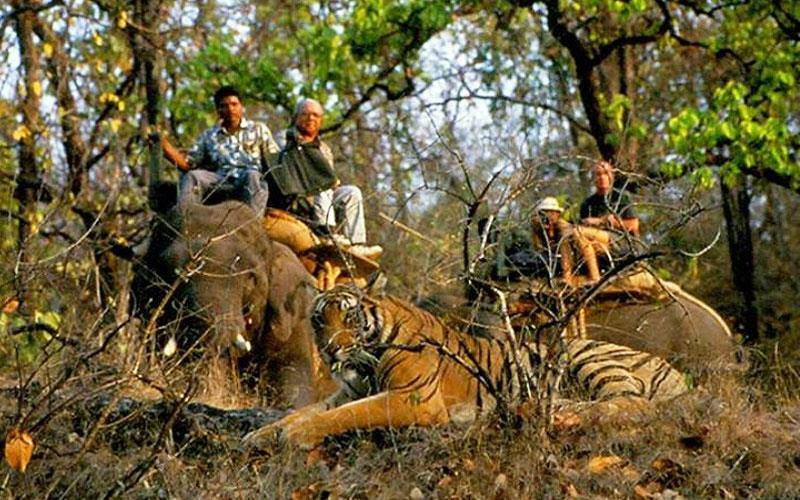 Here's taking a look at the most popular top 10 wildlife safaris in India. 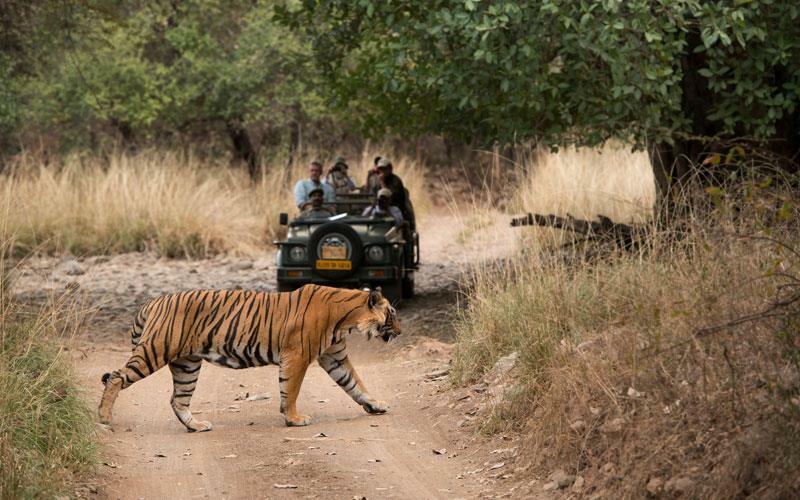 Located in Rajasthan, Ranthambore National park is one of the top 10 wildlife safari destinations in India. Formerly the hunting ground for royalty, it is now a sanctuary for the royal tigers, sloth bears, wild boars, sambar to name a few. Enjoy a safari in the early morning and have a better view from the ramparts of the 11-century Ranthambore Fort. 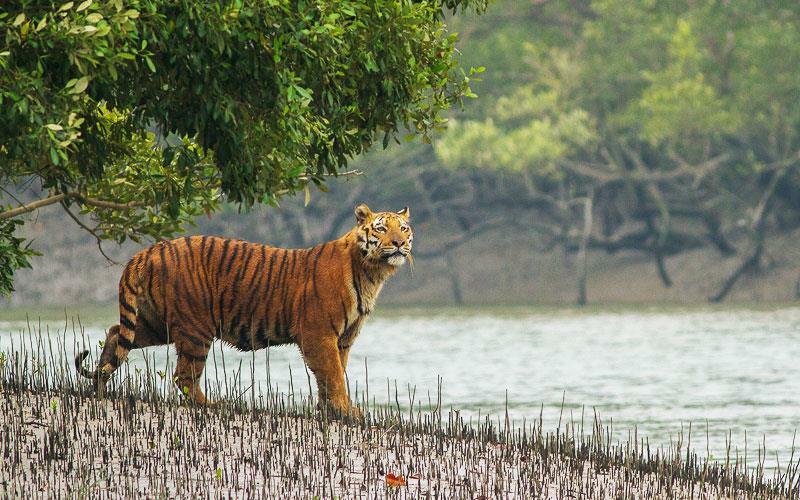 Best time to visit : October to June, while March to May are better for tiger sightings. India's best known and the first national park, Jim Corbett without a doubt is one where every wildlife adventure enthusiast must visit. Corbett National Park, Uttarakhand is considered as one of the top 10 wildlife safari destinations in india. Tigers rule the land but you can also spot Leopards, Wild Elephants, Himalayan Tahr, a variety of birds among other fascinating wild species. Snuggled in the beauty of Uttarakhand this national park is one of the most exciting top 10 wildlife safaris in India. Best time to visit : November to June, while tigers are best spotted from March to May. The playground of the majestic Royal Bengal Tigers Bandhavgarh National Park in Madhya Pradesh is counted among the top 10 wildlife safari destinations in India. Set amid Vindhyachal Mountains, the former hunting lodge of the Maharaja of Rewa is now the Tiger Reserve. Spot white tigers, leopards, sloth bear, porcupine, spotted dear, avifauna species, etc. on jeep safaris or on elephant back. Best time to visit : October to June and tigers are spotted during March to May. Want to see a roaring lion? 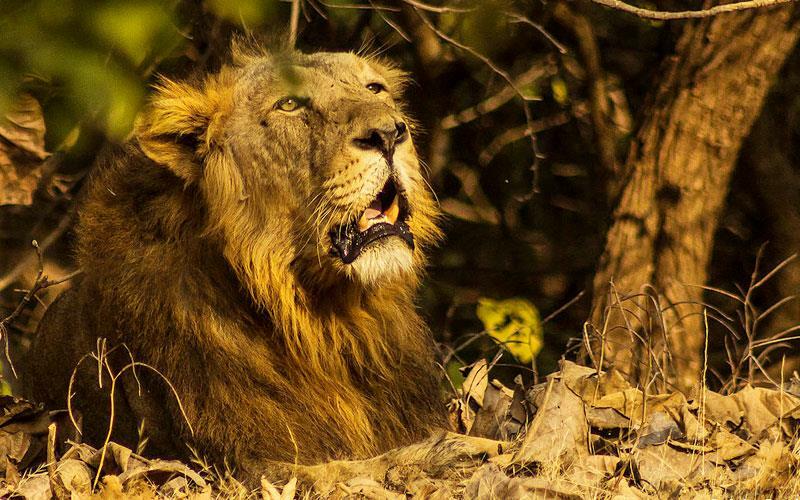 Gir Wildlife Sanctuary in Gujarat is the abode of the Asiatic Lions and one of the top 10 wildlife safaris in india. Settled at the western Gujarati peninsula, this park's rugged scrubland and forests are a breeding ground for wilderness in its pristine form. Apart from the 'King of the Jungle' lion, leopards, jackals, Hyenas, several birds and reptiles are spotted. Jeep safaris are the exhilarating way to go exploring. Best time to visit :December to April. 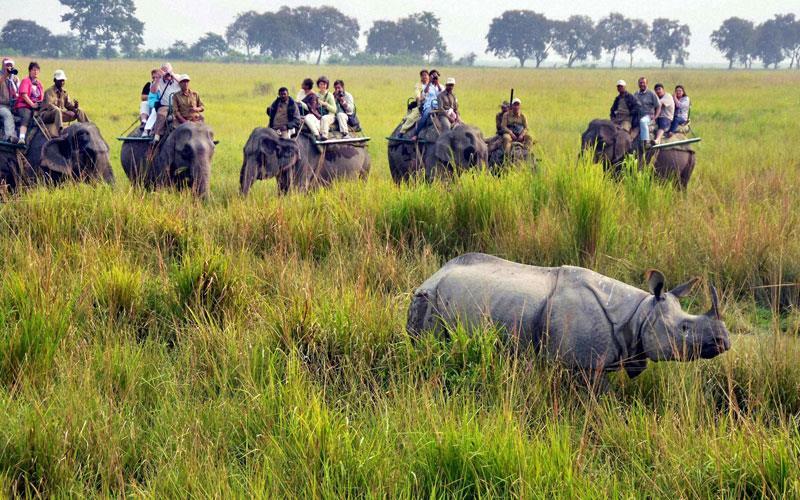 The UNESCO World Heritage Site, Kaziranga National Park is one of the best places for wildlife holidays in India. It is home to one of the largest population of One Horned Rhinoceros in the world and one of the top 10 wildlife safari destinations in india to come and visit. Apart from the rhinos, elephants, bears, panthers and various pretty birds are inhabitants of this blessed haven in the north East India. Best time to visit : November to April is the ideal time to visit. The inspiration of Rudyard Kipling's Jungle Book, Kanha National Park is one of the top 10 wildlife safaris in India . Royal Bengal Tiger, Black Panther, Bears, Pythons, Elephants and so much more are the natives of the park. The Satpuras in Madhya Pradesh are ideal for wildlife spotting. 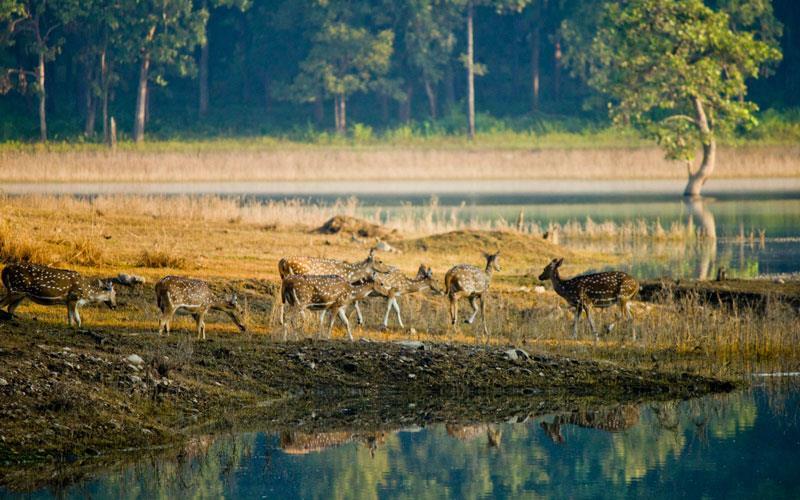 Famous as a Tiger reserve, Kanha is declared as one of the finest wildlife areas in the world. Best time to visit : October to mid-June with March to May being ideal to spot wildlife. 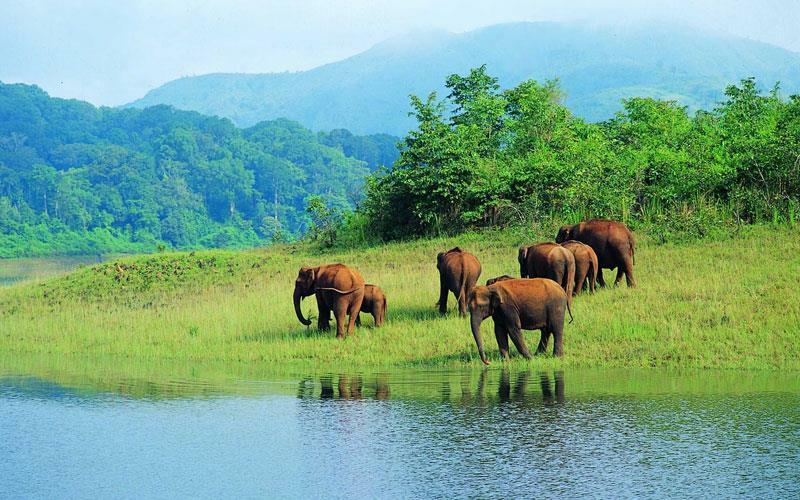 Picturesque and thriving with wildlife, Periyar wildlife sanctuary located in the lap of the Western Ghats in Kerala is one of the best in India and also one of the top 10 wildlife safari destinations in india. It is the habitat for tigers, elephants, a variety of birds and much more. Periyar Lake is the water source in the national park and it is easy to spot a number of animals in search of water at the lake shores. Even safari in Periyar is different as one go on boat safari, jungle patrolling, etc. Best time to visit : Open throughout the year, September to December is the best time to go here. Sundarbans National Park is one of the UNESCO World Heritage Sites in India and one among the top 10 wildlife safaris in india . The mangroves are home to Royal Bengal Tigers, rare saltwater crocodiles, a wide variety of birds and reptiles. Other inhabitants of river delta forests are fishing cats, leopard cats, macaques, wild boar, Indian grey mongoose, etc. Settled at border of Madhya Pradesh and Maharashtra, the Pench National Park is one of the top 10 wildlife safari destinations in India, Click here to know more. 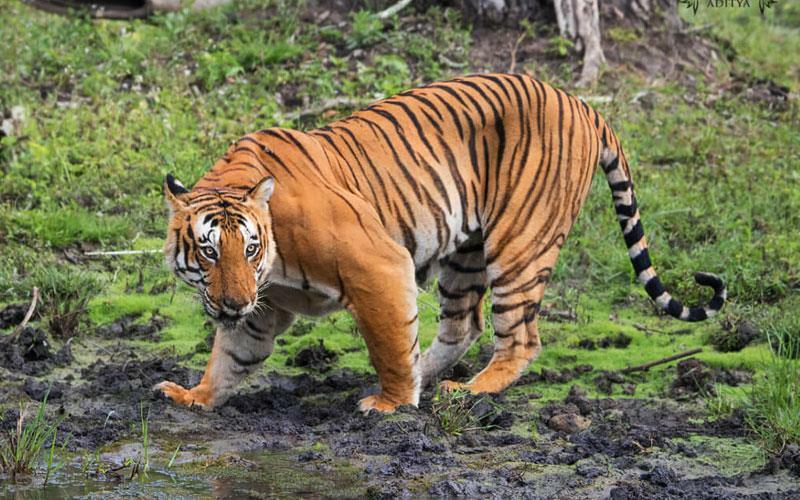 The Tiger reserve is known for the Big Cats, Nilgai, Leopards, Wild Boars, etc. The topography supports a varied forest cover that is home to a multiplicity of avifauna. One of the most beautiful wildlife destinations and one of the top 10 wildlife safaris in India. in India, Bandipur National Park in Karnataka is settled amid picturesque beauty of the Western Ghats. A part of the 'Nilgiri Biosphere it is home to Tigers along with wildlife species like gaur, sambhar, mouse deer, four-horned antelope, panther, malabar squirrel, porcupines, black-naped hare, jungle fowl and green pigeon. Jim Corbett National park is famous for Rich in flora and fauna, it’s known for its Bengal tigers. Animals, including tigers, leopards and wild elephants, roam the Dhikala zone. More than 70,000 visitors come to the park in peak season from the different part of the country and abroad. There is an 18 percent of hike in the foreign tourists. 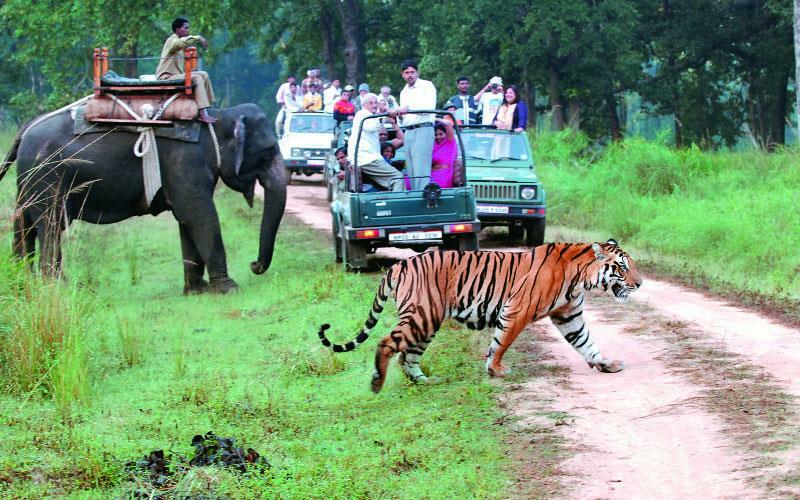 Online booking facility has raised the attraction of the tourists towards the park, says one of the Corbett official. Park authority hoped that by next year the revenue may go up to ten crore. There are main five safari zone in the CTR Dhikala Zone, Bijrani Zone, Jhirna Zone, Durga Devi Zone,Sitabani Forest Zone. around 200 tigers existing in this fores. Best time to visit from March to May.